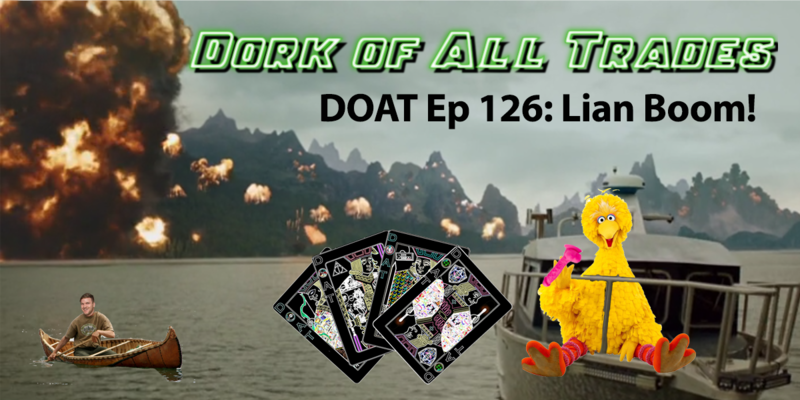 DOAT Ep 126: Lian Boom! Our Hosts, Tim & John discuss CW TV shows and more! Topic(s): MDW2017, Memorial Day, Preston and Steve, Keenans, Wildwood, daydrinking, Wizard World, Cosplay, Rocky Horror Picture Show, Wizard World Costume Contest, Philadelphia, Strippers, Comic Con tips, con finds, tina, Wonder Woman, Bill Finger, LEGO Batman, Justice!, YouTube, Netflix, Harry Potter, Voldemort Fanmade story, Heir of Slytherin, Robot Underdog, Dragonball Light of Hope, Fanmade films, Crowdfunded Fan films, Dbzsnaps, Snapchat, Instagram, Fan art, Colins Corner, DC, CW, the Flash, Supergirl, Arrow, Legends of Tomorrow, Flash Finale, Savitar, Iris West, HR Wells, Joe West, Wally West, BackFlash, Killer Frost, Malfoy, Harrison Wells, Jay Garrick, Speed Force, Arrow Finale, Green Arrow, John Barrowman, Speedy, Merlyn, Nyssa Al Ghul, Talia Al Ghul, Slade Wilson, Deathstroke, Digger Harkness, Captain Boomerang, William Queen, Lian Boom, Lian Yu, Prometheus, Adrian Chase, Black Canary, Black Siren, Beam Struggle, Constantine Kovar, Felicity, John Diggle, Mr Terrific, Mad Dog, the Vigilante, Magic Mike, Supergirl, Dothrakians, Mon El, Boss lady, Linda Carter, Liberal Agenda, Hipster Agenda, Politics, forcefed agendas, Dildos on sesame street, Big Bird, Jonah Hex, Legends of Tomorrow, Doctor Who, Spoiler Free Doctor Who, Bill and the Doctor, Frost Fairs, Idris Elba, Tilda Swinton, Couple Things the Podcast, Alien Covenant, and More!